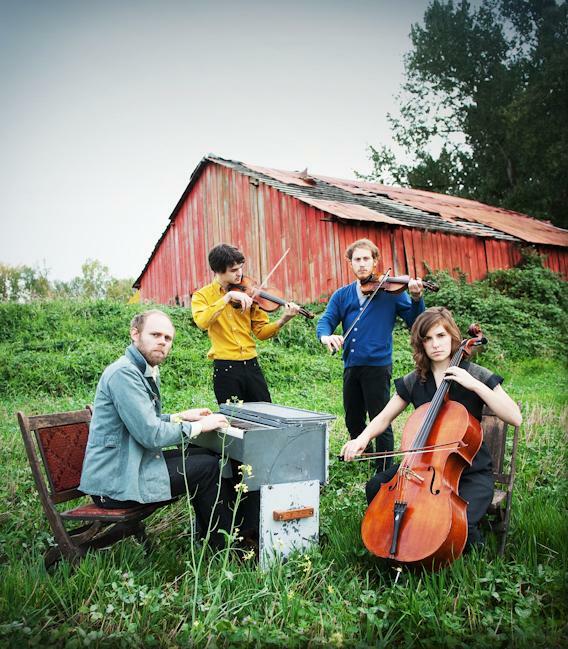 Kicking off a series of posts to come about bands headed to Newport this summer is Portland’s Horse Feathers. I started listening to the band led by Justin Ringle just a couple months ago. They have the smooth sound not too far from that of fellow Portland folkers, Blind Pilot, and if you know them, you love their song “Curs in the Weeds.” I feel like you have to have a beard to really know them, but I can’t grow one and I like the way they sound anyway. The band has rotated out a few members over the last couple years, but is now made up of four very talented folks who will release their new album on April 20th and have just kicked off an aggressive tour across the country, hitting Brooklyn’s Union Hall on Monday, May 3rd. Also, the band was just featured on Oregon Public Broadcasting’s Art Beat. Great interview and music. Check it out below.